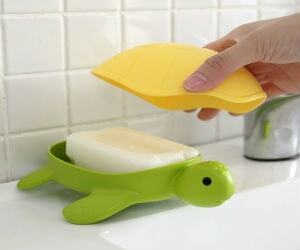 This turtle soap dish is essential for maintaining fresh and long lasting bars of soap. This turtle is not only cute, but it is functional too. Water leaks out from the tail and into your sink so that your soap bar stays dry and lasts as long as possible.